Foals are usually weaned from their mothers at around six to eight months of age, when they are capable of surviving on their own. Unfortunately this wasn’t the case for Olympus who was found abandoned in a field with two other very young foals. 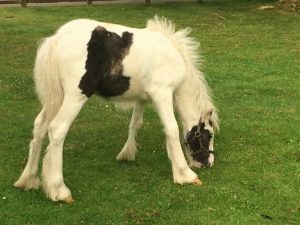 Estimated to be no more than six-weeks-old, the little black and white colt was clinging desperately to life when a member of the public found him and alerted the RSPCA. His two frail field companions had been unable to withstand the struggle to survive at such a vulnerable age and had sadly died. Olympus was immediately checked over by a horse vet and then taken to the Blue Cross centre in Burford where he was given round-the-clock specialist care. He suffered a setback when he developed an allergy to milk but true to his fighting form he quickly adapted to eating special foal feed as well as grass and hay. Now three-months-old he is growing well and enjoying living with Olaf, a kindly two-year-old gelding who has taken him under his wing. 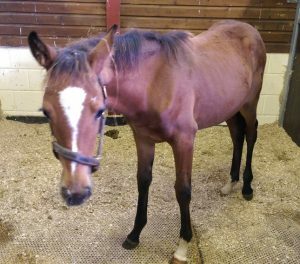 This year Blue Cross has received an unprecedented number of phone calls from members of the public about potentially abandoned foals. They have been managing these cases with the help of other horse charities. 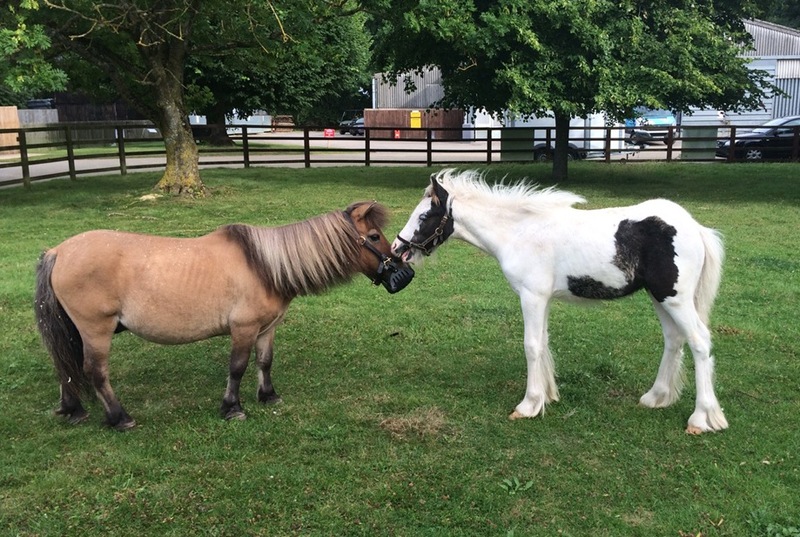 Until this year Blue Cross had never experienced any cases involving foals without their mums. It is usually more common for them to take in pregnant mares or those that have recently foaled: currently the charity has two abandoned mares with foals at foot in its care and a further three mares due to foal this winter. A further three foals have also been taken in by the charity over the past few weeks. Coloured colts Gandalf and Frodo were found wandering on the road and were picked up by the local council. They were unclaimed, assumed to be abandoned, and were taken in by Blue Cross where they are now doing extremely well. Bobbi, a bay filly of around seven–months-old was unwanted because allegedly her plain brown colour was undesirable and made her worthless. She was weak and had a respiratory infection when she arrived at Blue Cross but with care and veterinary treatment she has made a good recovery. It costs significantly more for Blue Cross to keep a foal than it does to keep an adult horse. A foal will need a microchip, passport and vaccinations, which increases veterinary costs. It will also need special foal feed, which can be expensive. 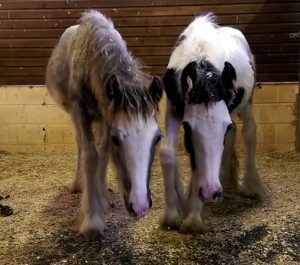 Invariably foals will also need more handling and care than an adult and usually stay at the charity longer than adults as they tend to be harder to rehome.